Whether you want to spend some time in the Gorgeous Wilds of Pennsylvania or just get wild with your friends and family, Potter-Tioga is the place for you. We have several packages geared to get you moving on foot, on horseback, on water or on wheels - you decide! Whatever your pleasure, you are sure to find it here. Our packages make it easy for you to plan a stay. The Sherwood Motel offers a very affordable golf package with Tyoga Country Club or Corey Creek Golf Club. Head for fresh mountain air and enjoy a round or two of golf in the heart of the PA Grand Canyon country. Tyoga Country Club is rated 4 Stars of Best Places to Play by Golf Digest. It is located 3 miles west of town from our motel. Watered fairways make this beautiful course a pleasure to play anytime from April through October. Corey Creek Golf Club is a very scenic course with quick undulating bentgrass greens and water hazards. The course has been designed to incorporate the rollings hills of the Endless Mountains to produce a very challenging 72 par course. It is located approximately 20 minutes east of our motel on Route 6. Golf Package includes your room and 18 holes and cart at Tyoga Country Club or Corey Creek Golf Club. Prices are per person based on double occupancy and range from $90.42 - $110.77 including taxes. Includes your room at either the Penn Wells Hotel or Penn Wells Lodge, dinner and breakfast. Prices for this package are based on double occupancy and range from $68.00 to $114.00 plus tax. 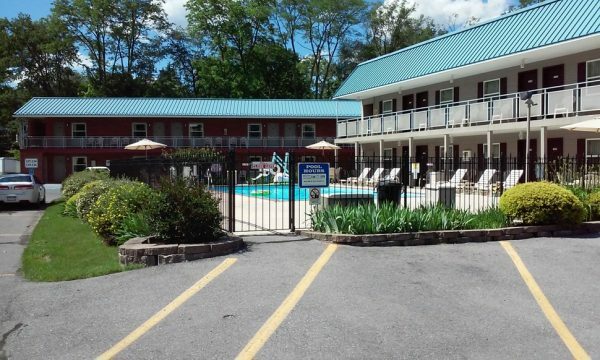 The Penn Wells Hotel & Lodge offers one of the best and most affordable golf packages in Pennsylvania. In partnership with the Tyoga Country Club, which boasts a stunningly scenic course rated four stars by Golf Digest, you’ll enjoy 18 holes of golf with cart at Tyoga and lodging, dinner and an American breakfast at the historic Penn Wells Hotel or Penn Wells Lodge. A golf vacation in Wellsboro, Pennsylvania, is not your typical overdeveloped golf travel experience. Wellsboro prides itself on the overwhelming natural beauty of the area, as well as the hospitable, friendly nature of the town and those who call it home. Experience both of these when you book a golf vacation package through the Penn Wells. Local residents include eagles, bear, deer and other wildlife, who are more than happy to let you play through should you encounter them on the beautiful course. For more information, visit pennwells.com/packages. Golf Package includes your room at either the Penn Wells Hotel or Penn Wells Lodge, dinner, breakfast, 18 holes and cart at Tyoga Country Club. Prices are per person based on double occupancy and range from $68.00 to $114.00 plus tax. Looking for unique gifts or reminders of your time in Wellsboro? Wellsboro’s gas-lit Main Street is lined with boutiques, gift shops and antique stores, where you’re sure to find the perfect gifts for all of your loved ones! Dunham’s Department Store, one of few remaining family-owned and –operated department stores still in existence, is right across the street from the Penn Wells Hotel. Dunham’s offers full Men’s, Women’s, Juniors’, Children’s, Shoes and Housewares departments, plus a large Gift and Card section—the perfect place to pick up postcards and souvenirs of your time in Wellsboro. During the holiday season, Dunham’s also offers free gift wrapping. Leave your purchases with the friendly Dunham’s staff and we will pick them up and have them at the Front Desk for you at the end of the day—no more lugging around bags as you shop! 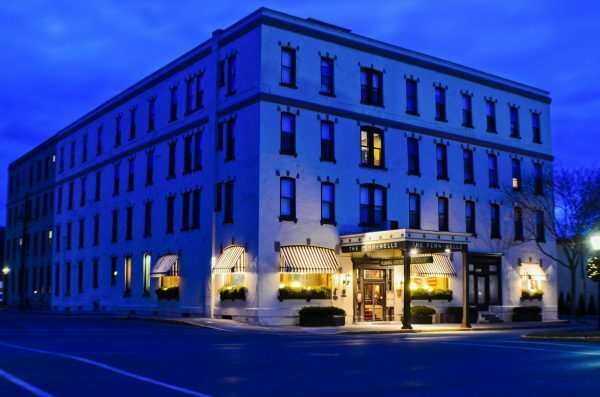 Shop and Stay Package includes your room at either the Penn Wells Hotel or Penn Wells Lodge, dinner, breakfast, and a $50.00 gift card to Dunham's Department Store.